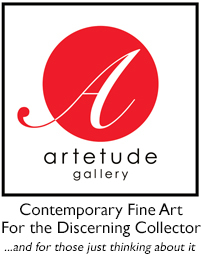 Artetude Gallery, Inc. is pleased to announce Robert Asman as the newest addition to our gallery. The Asheville-based artist will be featured as our “Artist of the Month” for August. On Sunday, August 12th­ at 2:00pm, Robert will discuss his photographic-based works on paper, as well as his life and inspirations.